With its characteristic conical shape, it can be recognised in many views from the northern part of County Antrim. The summit is surmounted by a cairn known as Carn an Truagh, interpreted in the Ordnance Survey Memoirs as 'cairn of the three', but the anglicised form is not compatible with this interpretation, and Fiachra Mac Gabhann described it as 'of unknown origin' in PNNI vol vii. Knocklayd is the third highest mountain in the Antrim Hills area and the 522nd highest in Ireland. 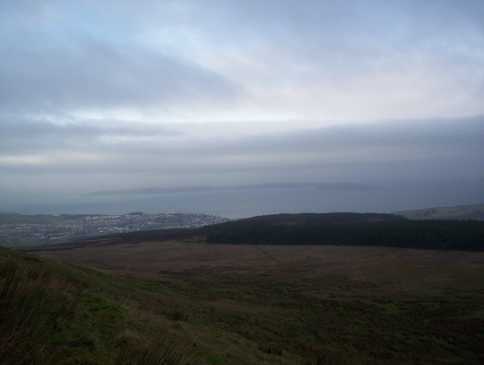 Knocklayd is the third highest point in county Antrim.